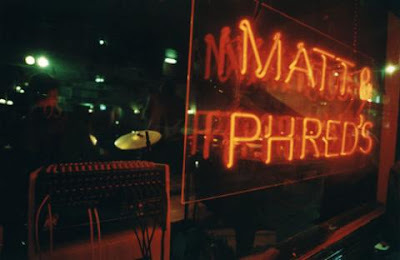 Newsflash: The Manchester Blog Awards will be happening at Matt and Phred's Jazz Club on Tib Street in the Northern Quarter. NOT at MOHO Live, which isn't done yet. The good thing about the new venue is that, if you're so inclined, you can stay on and groove on some live jazz after the blog awards wrap up. Same bat time: Wednesday, Oct. 10 at 7pm. So, which one of The Decemberists did you nobble? Looks like we'll be free on Wednesday after all. Are there any tickets still available and how do we get hold of them? What? You're kidding. I didn't touch 'em, I swear. You guys should honestly be fine just showing up on the night. Come earlyish if you want a good table.